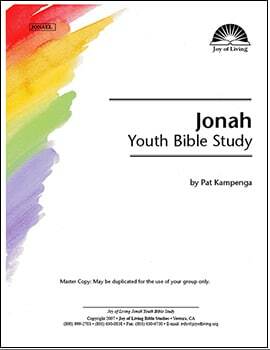 *The Jonah Adult Study contains 5 lessons, so the Youth Study does not match up to the Adult Study lesson-by-lesson. The book of Jonah tells the story of an obstinate prophet who said “No” to God’s command to prophesy to Ninevah, and fled in the opposite direction. God pursued Jonah, bringing him to the realization that God’s way is best, that he could do nothing by himself…. …The book of Jonah teaches us to obey God’s call at once, the first time, and then prepare to be amazed at what God can accomplish through us.